Every day: charbroiled chicken with soup broth and onion. 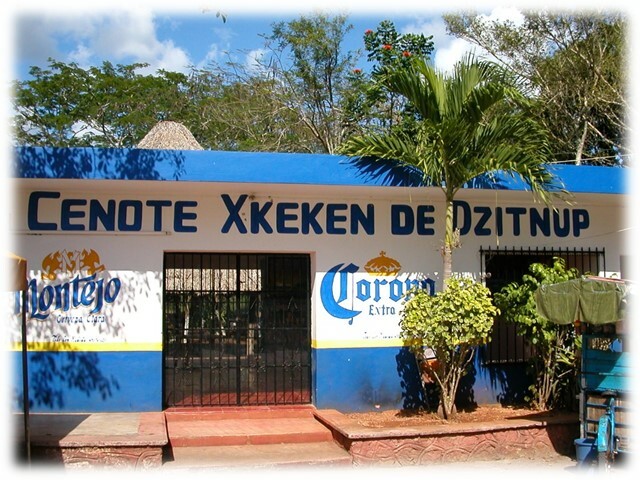 On Saturdays and Sundays after 10:30 am: ribs and grilled beef, and soft drinks. It seems to me that the chickens would not be very happy to be there, once they knew their fate! Okay, smarty pants; try pronouncing that! On the Yucatan Peninsula of Mexico, there are underground rivers, which are reached through sinkholes called cenotes. Some place names—like this one—are based on indigenous languages. A highway sign in the Spanish-speaking US territory of Puerto Rico. Now a certain unnamed friend was riding with us, and after she'd seen numerous signs like this, she remarked, "That town called Salida sure is a popular place!" 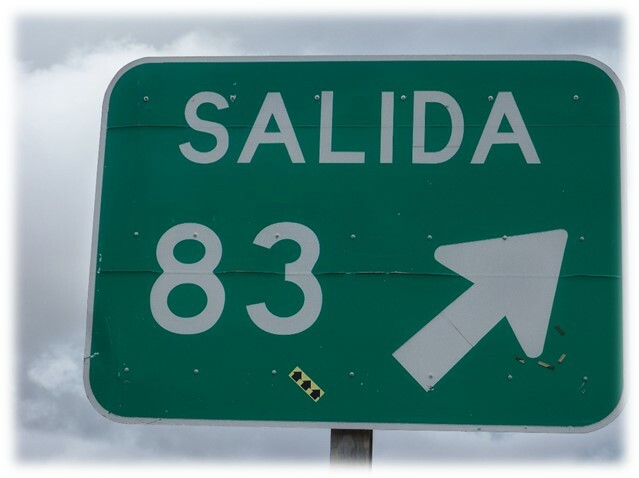 Salida is Spanish for exit! How embarrassing! 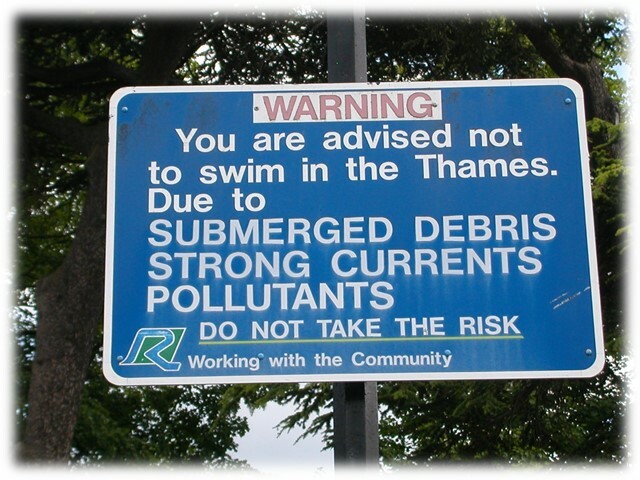 Perhaps a better way to be "Working with the Community" would be to get all that crap out of the Thames River! From a recreation center in the Netherlands. I never did figure out why black poodles were banned! The reception area of a rural motel in New Mexico, USA. 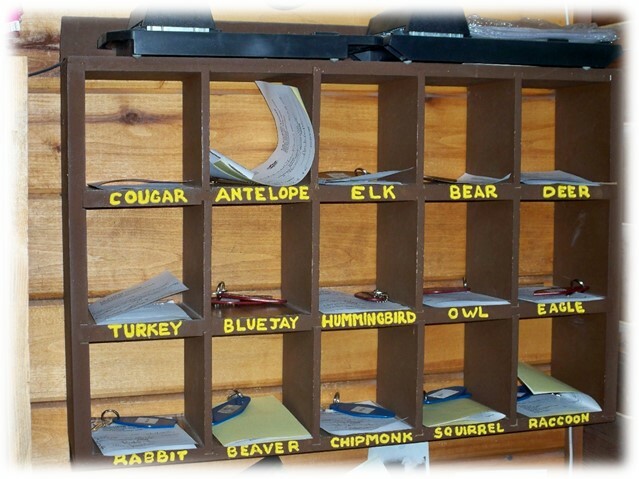 Each cabin/room was named for a bird or animal; I was in Rabbit. Out my back door, a stream ran rapidly past, and, yes, there was even a young beaver swimming there with his small lodge off to one side. Apparently, Einstein and Medusa had the same hair stylist! From the tulip festival in Ottawa, Canada, in 2008. 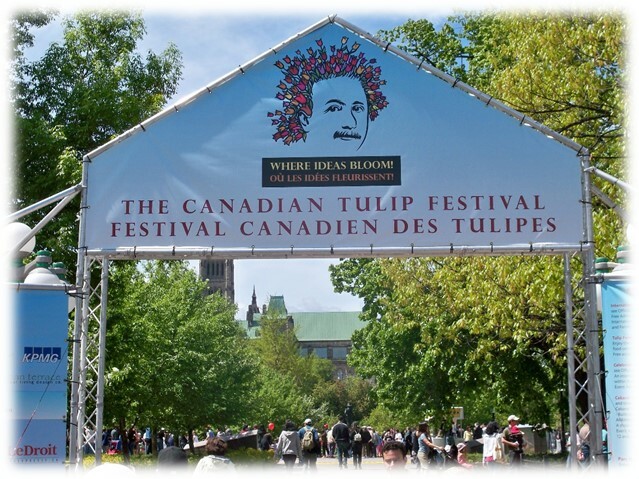 Click here to read about Princess Juliana of the Netherlands and her exile in Canada, which led to this tulip festival. 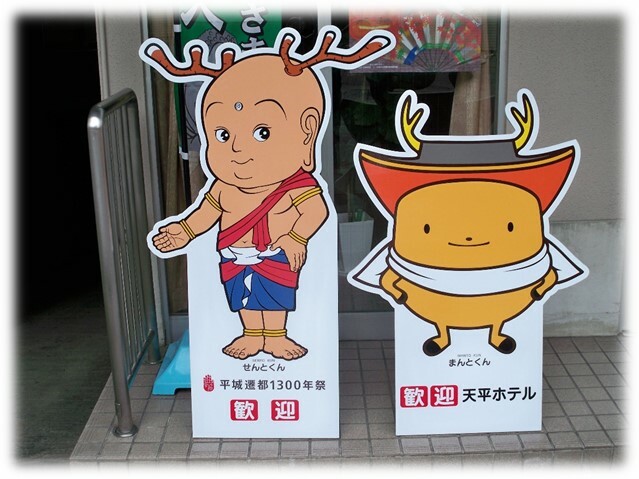 I never did figure out who these characters were, but they were beckoning me to a restaurant in the streets aound Ueno Station in Tokyo. After World War I (the war to end all wars! 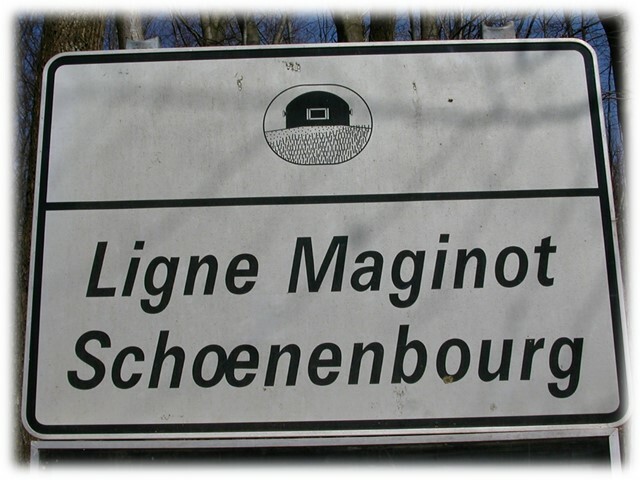 ), the French embarked on a huge construction project, the Maginot Line. Unfortunately, it was never finished, and the Germans entered France in WWII by making an end-run through Belgium; tricky devils! I toured a section of the underground fortifications. 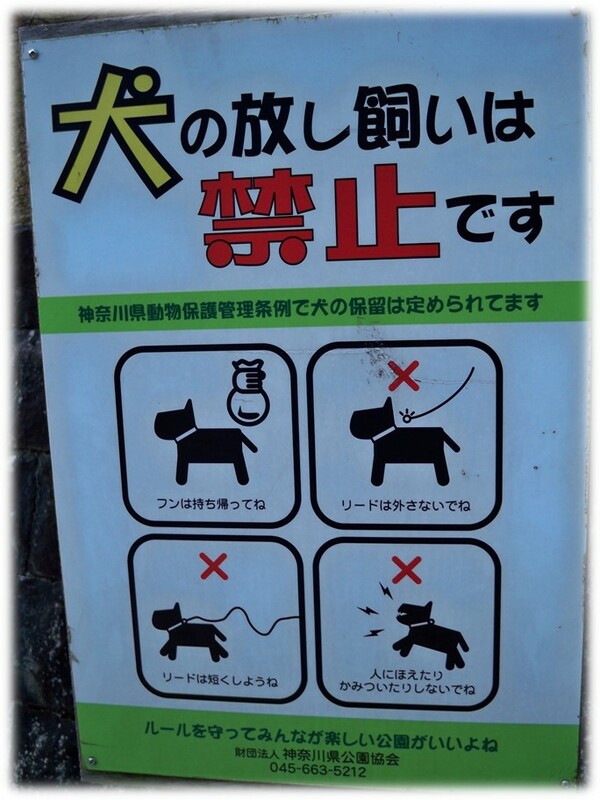 No funny business with your dog; wakarimasu (do you understand)? 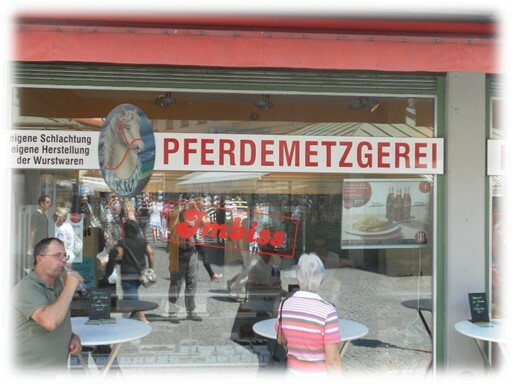 From Munich, Germany: A butcher shop (metzgerei) that sells horse (pferd) meat! 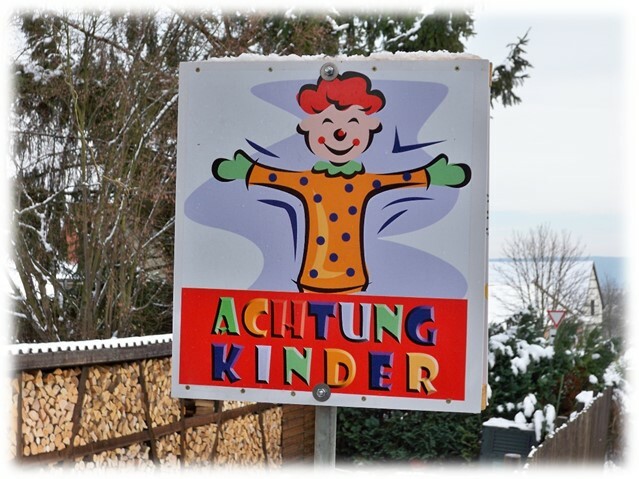 The German equivalent to, "Slow down; children at play." Literally, Caution, Children. 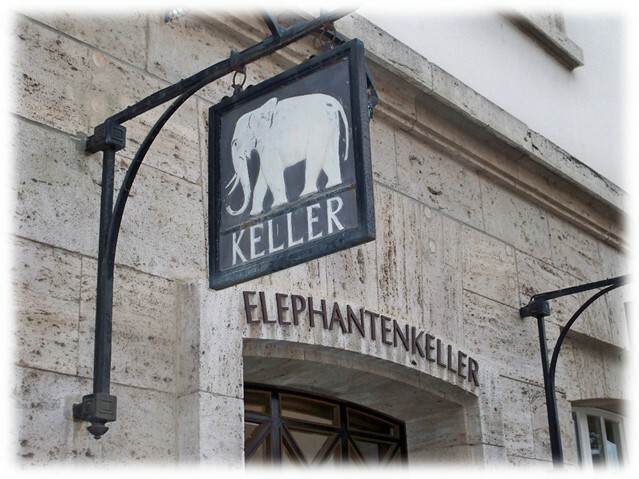 The Hotel Elephant in Weimar, Germany. Famous as a dining place for Goethe, Schiller, Liszt, and Wagner. Hmm. 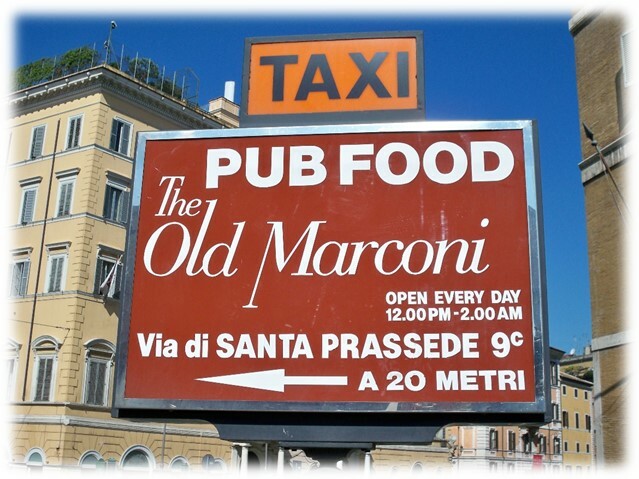 Pub food in Rome, Italy. Whatever might that entail? I'm reminded of the Roman Centurion who walked into a bar and held up two fingers (like the English "V-for-Victory"), which meant, he wanted "5 beers"! A street name in Rome, Italy. 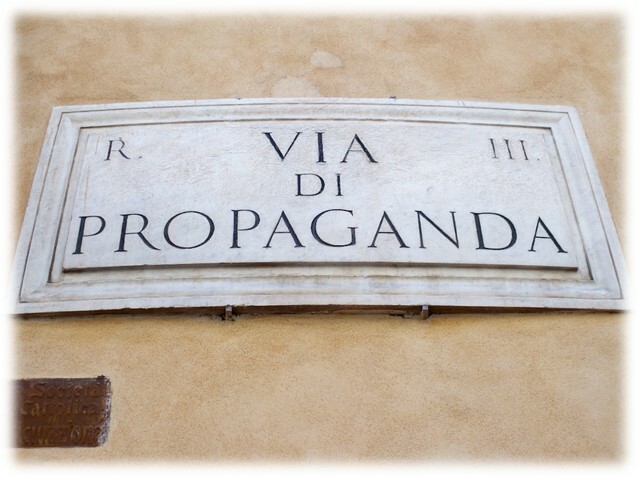 Interestingly, the word propaganda is derived from propagate, and the negative meaning the former has today only came into being during World War I. 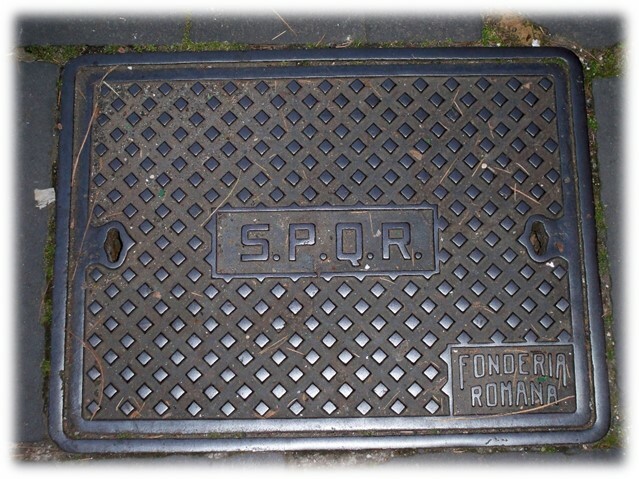 A manhole cover in Rome, Italy. According to Wikipedia, "SPQR is an acronym of a Latin phrase, Senātus Populusque Rōmānus ("The Senate and People of Rome"), referring to the government of the ancient Roman Republic, and used as an official emblem of the modern-day commune (municipality) of Rome. 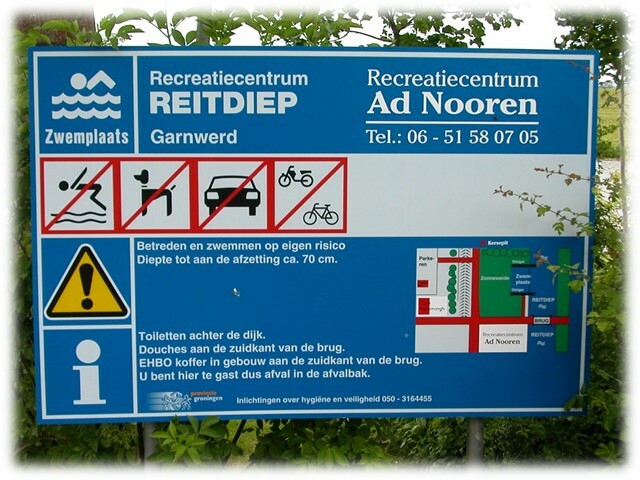 I know that place in Garnwerd, it's where I race for the team triathlon championship every year. And the ltttle round fellow from Ueno Tokyo, isn't that a soy bean? Not sure about the other dude though. About the horsebutcher, that reminded me of an episode of QI: - The royal knackers were the people in charge of the knackers yards to the British royal family. These were the people who render down the dead horses of the royals. One royal knacker, John Atcheler, had the royal warrant to knacker Queen Victoria's horses. He had two knacker's yards: one in Sharp's Alley near Smithfield and the other near Kings Cross at Belle Isle. They had huge copper vats that rendered the horses and the vats gave off an awful smell. An extract from Bentley's Miscellany written in 1844 reads: "The knacker's cart arrives in double quick, the mob admires the cart, the royal arms and the inscription: 'Knacker to Her Majesty.' The royal knacker, a swell knacker in cords and tops with a bit of butchers apron, just as big as a bishop's, merely to distinguish his profession, pole-axe in hand, descends from his vehicle." Atcheler dealt with 26,000 horses a year. 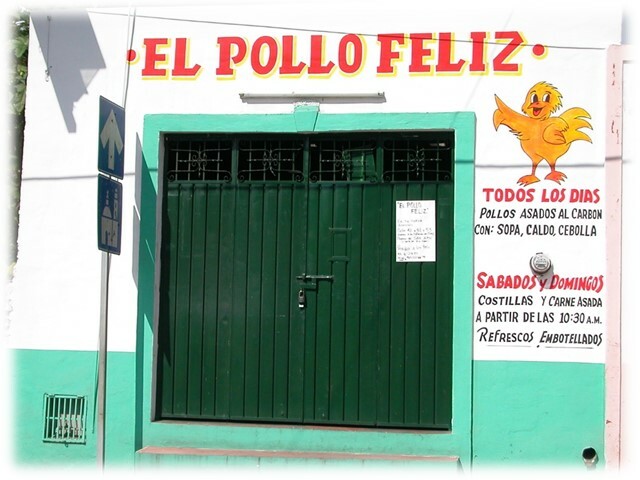 I find it interesting that your blog posts about signs around the world are the ones I find most interesting. It's somewhat of a window into how different cultures frame their thinking about how a sign should convey its intent. Then again, some signs are probably somewhat whimsical to all, some are intriguing to those that have never seen them before, and some cannot be explained (at least by me). I proudly lay claim and always laughter to my 18 year old self commenting on the numerous exits to Salida! Still have the photo you sent to me some years later. Many years and many miles, people and places later I also thank my grandmother's spirit, my mother's adventurous heart and your encoragement and support to explore.